Note: There is no record with EmployeeID = 10 (West Adam). Note: There is no order in which the CustomerID = 1 (Alfreds Futterkiste). A rapid wire-frame and flow chart. It allows for collaboration. If you and your friends can work with up to 4 diagrams, then its free. Sketch allows you to design websites, iOS and Android interfaces easily. Allow for the clone of design elements. Invision is another design platform, as well as the creators of the Craft plugin for Sketch. It allows to design, document, and prototype websites, iOS, Android and more. You need to use an email account in order to start the free version. The Zeplin plugin provide accurate specs, assets and even code snippets made from the designs. In our case, we are using the Zeplin plugin for Sketch. It allows to export designs into Sketch, Adobe Photoshop CC, Figma and Sketch. It provides extensions, some which you can even create yourself. Create component libraries, do checklist to build every component, and tag people if needed. If you are only working on one project at a time, you can do it by free by creating an account. Note: Framer is for Mac OS only; however, they promise to bring a client version for Windows soon. Framer allows you to design with code by using React. It provides a transitional and responding layout. Adaptive layouts, design toolkit with logos and icons libraries, reusable and iterative components, video players, in-app icons and UI elements, and more powered by React. 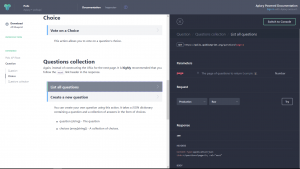 Apiary is an Oracle tool which allows you to design an API without requiring to write code. Then, you can share the designed API. It allows for the use of Markdown, tests using mock servers, validation proxies and much more. Plus, it gives you code examples in different languages. If you are a Command Line guy, there is a Apiary CLI Gem available. CircleCI is a continuous integration software. It will allow your teams to focus on working in incremental “stories”, each story is a code that will be merged incrementally into your shared repository software. The software can be setup to automate tests, deploys and much more. CircleCI is the equivalent of Jenkins or GitLab CI. TestRail is a test case management software which allows you to manage, design and run your test cases. It provide an insight of your testing progress; as well as to allow you to track issues and perform automation tests with your CI systems. It works with JIRA, Visual Studio, Bugzilla, and up to 33 tools out there. 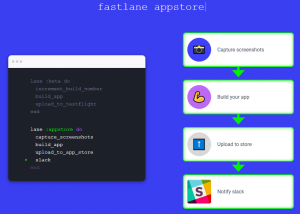 FastLane is a Continuous Delivery tool which allows you automate the building and release mobile apps. It is Open Source and design for the Android and iOS deployment. With FastLane, there is no need to take screenshots, spend hours in code signing, figure out how to distribute beta builds, and such. This software is supposed to take care of all that. One of the interesting things about Firebase is that includes Crashlytics. Crashlytics is a tool that allow you to keep track of the crashes in your apps and was made by Fabric.io. Google decided to ditch their own crash analytics tool and provide Crashlytics instead. Its my understanding that Fabric was purchased by Google, so there is a whole promotion to move from Crashlytics to Firebase since Crashlytics seems to be included in Firebase. There is Crashlytics for iOS and Crashlytics for Android. 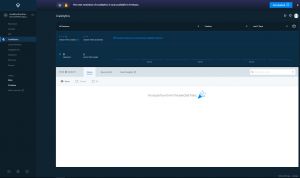 By the time I am writing this post, I haven’t yet made the transition from Crashlytics to Firebase since I have to sit down and read all the policies, licenses and user agreements. I will try to keep you updated.